This weekend, wee-man is scheduled to play Go Tell Aunt Rhody for recital. Rhody seemed like a good choice since it’s a fair distance from his current piece (Long, Long Ago) and it’s been on review rotation every stinkin’ day since it was polished. But once it was selected as his recital piece, the boy suddenly stopped remembering bits. He began struggling with notes he’d been doing without effort. He started playing the piece out of tune and/or out of time. I was developing a Sam Kinisonesque internal-monolog, which is usually a sign that something needs to change. We started by working in “sections”. 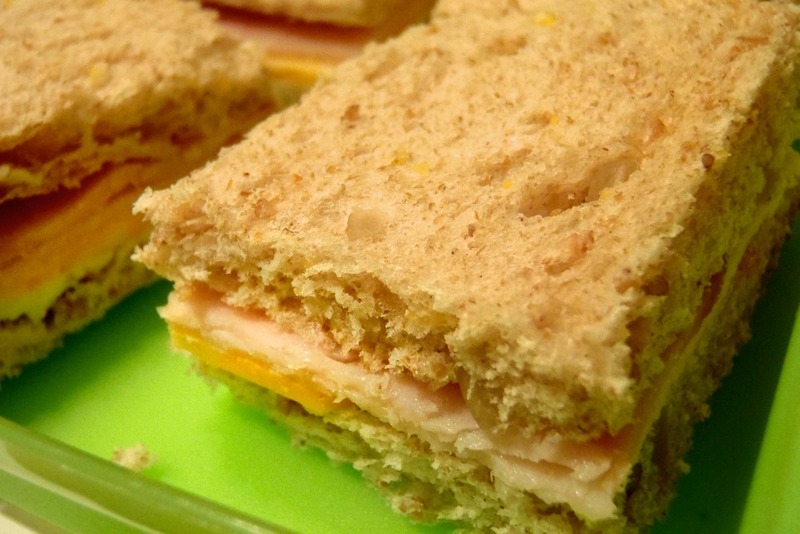 Because Aunt Rhody has an A-B-A structure: it is like a sandwich. It has a slice of bread (a section*), a piece of cheese (b section*) and another slice of bread (a Section*). It is also like a sandwich because it’s easier to eat if you cut it into smaller pieces and remove the crust (or have your mom do it). So we started playing the troubled section (namely the cheese) and expanding it to include the full song. The boy has inherited my hair-trigger frustration reflex and he was no happier than I about the lapse of memorization. We both started approaching our own breaking point from the tedium of section review. So I asked him to lie on his yoga mat and listen to the recording for a while. I told him to imagine himself playing the song just as it sounded in the recording. I can’t speak to the effectiveness of this as a visualization technique, but I’m certain having a moment of rest during practice lessened the chance of anyone getting hurt (physically or emotionally). My son, being a typical five-year-old, is intrigued by anything that sounds sinister or violent, so I created the Aunt Rhody Triple Threat. Here’s the pitch: “Okay, now it’s time for the Aunt Rhody – TRIPLE THREAT! First we’ll play it together, then you’ll play it alone and finally you can play it with along with the recording…” The key to the Triple Threat’s effectiveness is this: there is *one* point of focus, and the focus is lost, we start over. But the winner of the Triple Threat wins BIG. It sounds hokey, I know, but it seems to work. He’s been playing the piece without baulking, and it sounds performance ready. Here’s a Triple Threat Challenge for Suzuki Parents who might be channeling Sam Kinison in their thoughts: Break It Down, Mix It Up and Relax. This entry was posted on February 25, 2011, 6:45 pm and is filed under Practice Strategies, Suzuki Parenting, Suzuki Violin Book 1, Suzuki Violin Method. You can follow any responses to this entry through RSS 2.0. You can leave a response, or trackback from your own site.